We are your student loan servicer and we have one goal: to help you successfully repay your loans. Now that you're paying back your student loans, use this resource center to find information on the various topics you'll need during repayment. Understanding the Life Cycle of a loan will help you in the long run when making decisions about your student loans. 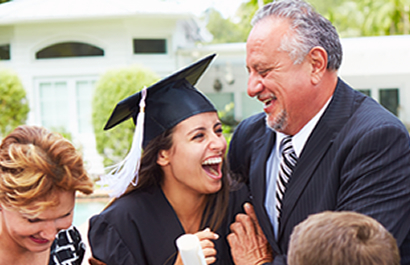 Build a strategy that could lead to successful repayment! Qualify for a 0.25% interest rate reduction! Get Assistance When You Need It! Whether you want to calculate your interest, or see if you qualify for loan forgiveness, we have resources that can help. Find a Repayment Plan You Can Afford! Review the requirements to see if you may qualify for loan forgiveness. Find out what specific benefits are available to you. Find everything you need related to your TEACH Grant.